The Natural History Society of Jamaica (NHSJ) is a non-profit organization formed in 1940 by members of staff of the Institute of Jamaica and science teachers across Jamaica. Its particular objective was to study the natural history of Jamaica, with special reference to the flora and fauna, about which little was then known and taught. The information gathered was made available to teachers and other interested persons. The society continues to study the Jamaican environment and promote conservation of natural habitats and wildlife. The society upholds and communicates the World Wildlife Charter and the World Conservation Strategy of the World Conservation Union (IUCN). The Secretariat is currently based in Kingston but anyone (local and foreign) interested in the flora and fauna of Jamaica can become a member. The formation of the Natural History Society goes back to January 1941 - a time which to most of you is probably considered the dawn of history!! The inaugural meeting was held at Munroe College and was spearheaded by the personnel of the Institute of Jamaica headed by its legendary Curator, Mr. C. Bernard Lewis, together with a number of Science teachers from various secondary schools, along with lay-citizens deeply concerned with Jamaica’s natural environment. Because Natural History covers a wide range of topics and interests, 2 other organizations, BirdLife Jamaica (formerly Gosse Bird Club) and the Jamaica Conservation Development Trust (JCDT) were born out of NHSJ projects by members who felt there was a need for concentration in specific areas. The NHSJ was also an instigator of an umbrella organization for all NGOs having foreseen the advantages to be gained from the pooling of knowledge and resources to accomplish unified goals. In 1987, along with the Jamaica Geographical Society and BirdLife Jamaica, the NHSJ initiated Wood and Water Day, which became a National Day in 1997, to be commemorated on the 1st Saturday in October each year. It was born out of a concern for deforestation of our watersheds and for several years, was celebrated by the planting of tree seedlings in the watersheds. The dry limestone primary forest of Long Mountain was adopted and bio-surveys and a workshop held with hopes of the area becoming a nature reserve for study and recreation. The encouragement and promotion of public education on environmental and ecological matters. At the Annual General Meeting an Executive Committee is elected to manage the affairs of the society. The committee consists of four officers, President, Vice-President, Secretary, Treasurer and six members. All members of the committee are volunteers. When considered desirable, the Executive Committee is assisted by sub-committees whose members are drawn from the wider membership. The following Executive Committee of the NHSJ was elected during the 2013/14 Annual General Meeting. 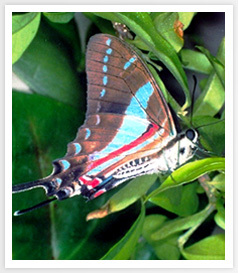 "Promoting the Conservation and Documentation of Jamaican’s Biodiversity"